The project is a exploration of the work of Israeli architect Ben-Ami Shulman (1907-1986). Shulman was posthumously recognized as one of the significant architects of the modernist White City of Tel Aviv, designated a UNESCO World Heritage Site in 2003. Eight of his apartment buildings have been designated landmarks. The White City of Tel Aviv features the largest collection of 1930's modernist architecture in the world. 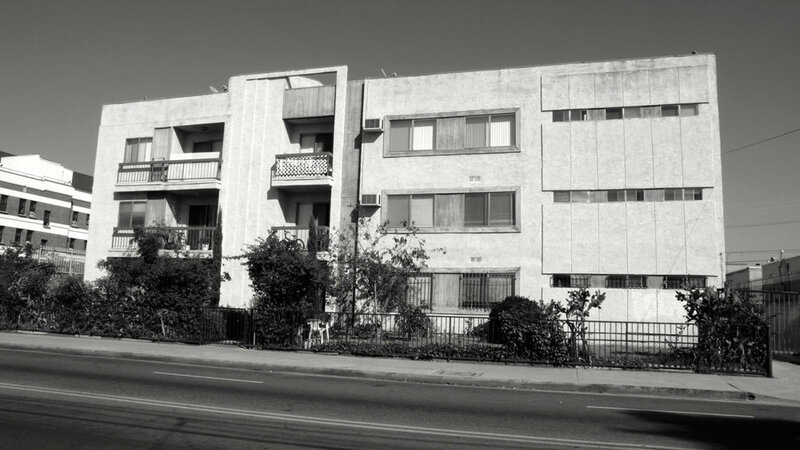 When artist/curator Susan Horowitz, researching a photographic project on White City architecture, discovered that Shulman had emigrated to L.A. in 1960, she embarked on a search to identify his buildings here. The expectation was to find parallels to the acclaimed 1930’s work which might reveal a key to further understanding of the architectural diversity of L.A. The research was pursued with the invaluable participation of Uzi Shulman, his architect/son, + full access to the Shulman Archive. 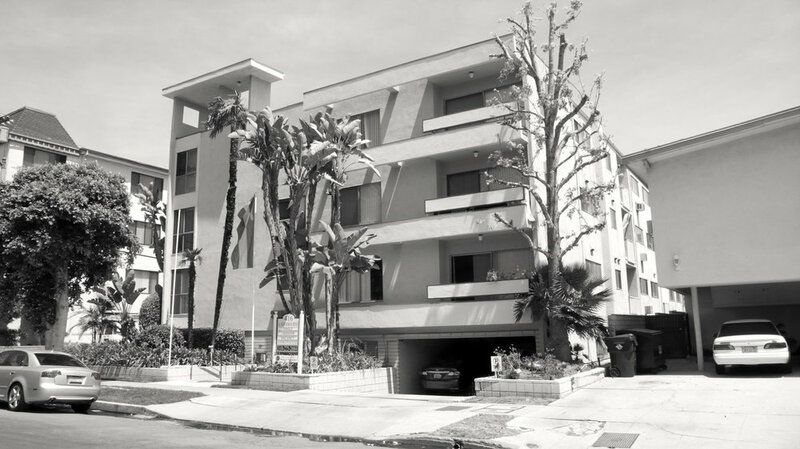 Unlike the legendary architects who fiercely promoted + adapted their modernism in L.A.,Shulman arrived with fine (but as yet publicly unrecognized) credentials, at a later stage in life, but enthusiastic to get involved with the flow of L.A. styles. His collection of contemporary architecture + design books + systematic scrapbooks of international + American architecture postcards suggest that he was avidly following a wide range of contemporary architecture including L.A. residential + commercial buildings. He found particular success working with development companies building apartment complexes in L.A. + the growing Valley that reflect a surprisingly wide stylistic range. 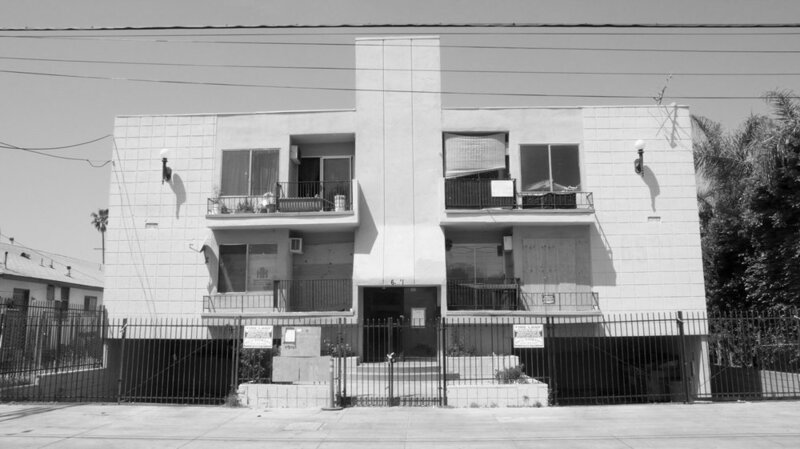 His 17 documented apartment buildings read like a catalogue of what could be termed the L.A. vernacular architecture of his working years. These types of vernacular buildings form the patterned connective tissue- the context- of the growing city but do not point to a signature style. 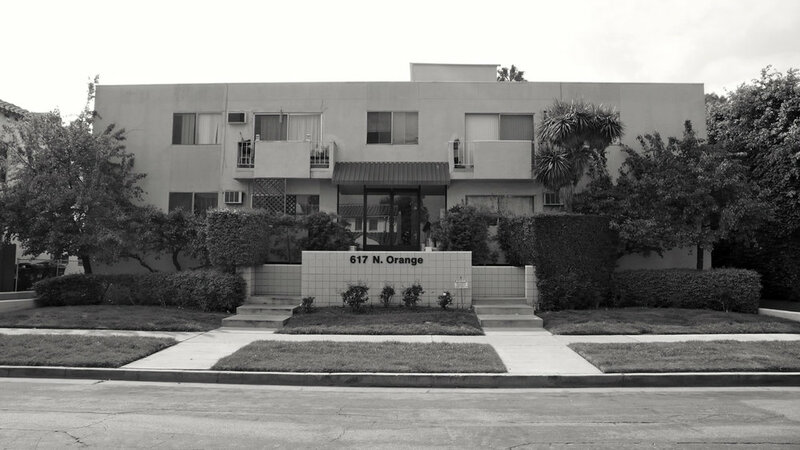 As a group they resemble the apartment buildings artist Ed Ruscha included in Some Los Angeles Apartments. 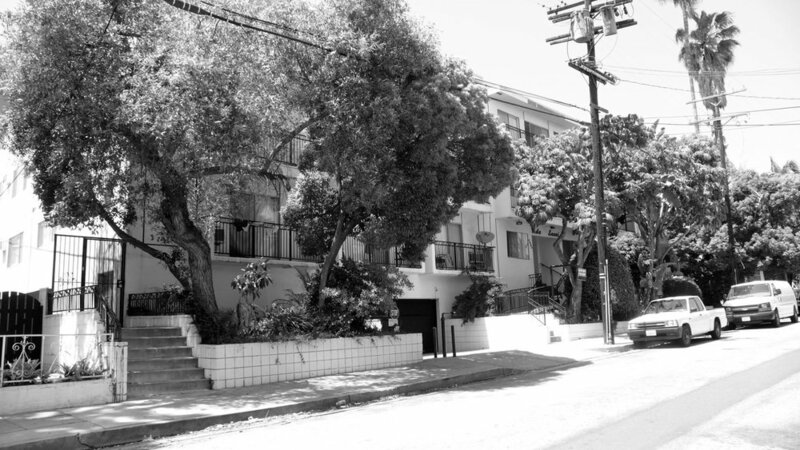 These surprising results add an unusual facet to the history of L.A. architecture. The exhibition focuses on the L.A. work while the SOMESHULMANARCHITECTURE.COM website, which features an e-book + 2 doc/videos, presents an archive of the scope of the research. The doc/ video SOME SHULMAN ARCHITECTURE, which premiered at the 2014 L.A. New Urbanism Film Festival, documents the process of this project. The concept of a video e-book transformation of this complicated project offered a compelling visual way to document the story.